I haven’t written much the last day or two because I’ve been engaged in fairly prosaic things like catching up on sleep, and cleaning.Â When you make 82 lbs, 7 ounces of chocolates in two weeks, and especially when you make 40+ pounds of chocolates in three days, the kitchen winds up covered in debris.Â It’s rather like seeing a street full of downed branches after a windstorm, or the footage you see on TV post-hurricane.Â There are cut-off bits of candy pads scattered on the floor, stacks of paper separators sprawled out over a chair, 30-40 plastic containers (and lids!) on the table.Â There is chocolate trampled into the kitchen floor.Â The chocolate tempering machine is still decorated with nouveau-art dribbles of chocolate, the chocolate molds need to be washed, and the ants found the leftover marzipan (’nuff said! ).Â I am nowhere near getting everything clean, but am chipping away at the mess.Â My goal is to finish cleaning everything by the end of the day Sunday.Â It’s a tall order, but I think I can do it. 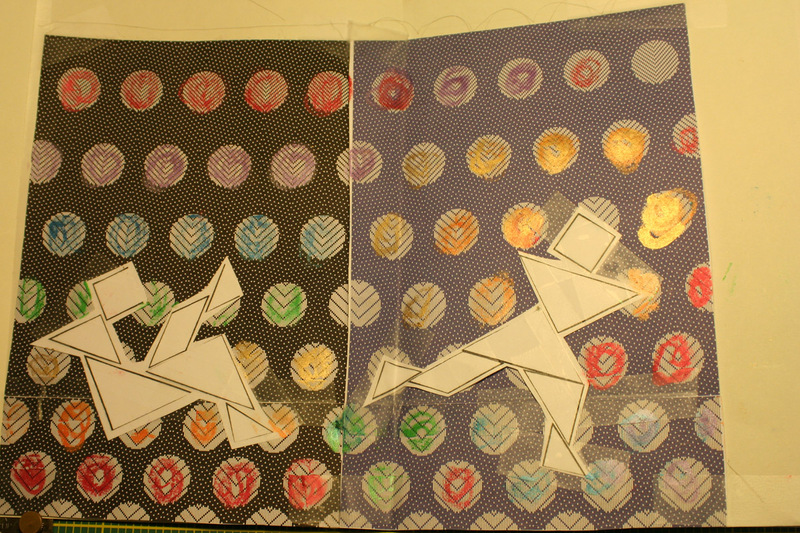 In the next frame, the person is reaching up to get the circle, which has now (not shown in mockup) transformed into a colorful handwoven fabric circle.Â I think the “person” also gets pastel colors instead of plain black and white, but that will be decided as I make the book. In the first frame, the colors are regimented, in rows marching through the colors of the rainbow.Â In the second frame, the colors are much more active, with the warmer (eye-catching) colors surrounding the figure’s head and upper body, fading to purple, blue, and cool colors further away. 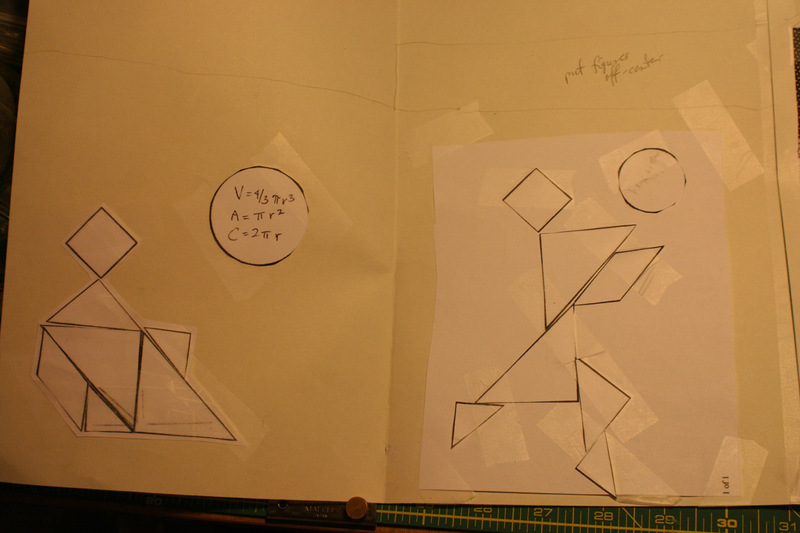 I haven’t fully designed the last two pages yet, but basically as soon as the figure makes it through the fence, it transforms from a geometric figure into a Real Live rag doll, dancing amidst lots of ruffles of fabric and yarn and so on.Â And the final page will be one really rockin’, dynamic, pop-up of a fiber artist celebrating amidst piles of stash, tools, etc. 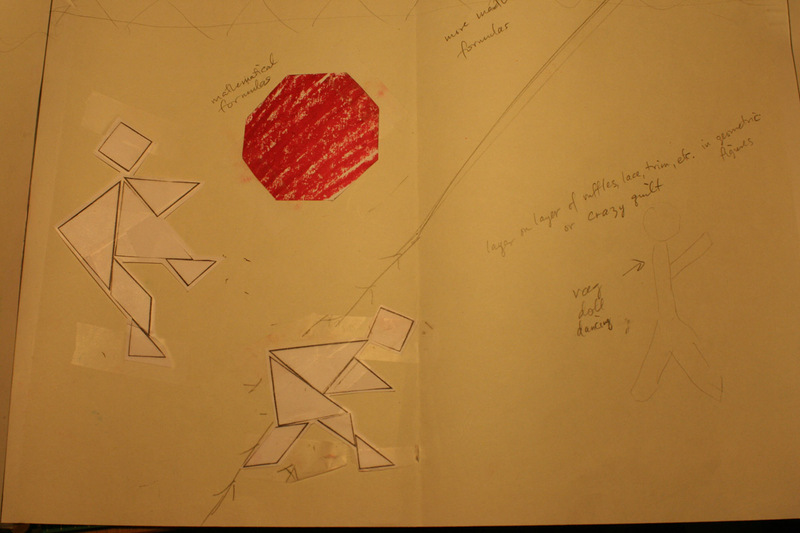 Which brings me to the real topic of this post: I have discoveredÂ THE COOLEST BOOK EVER!! 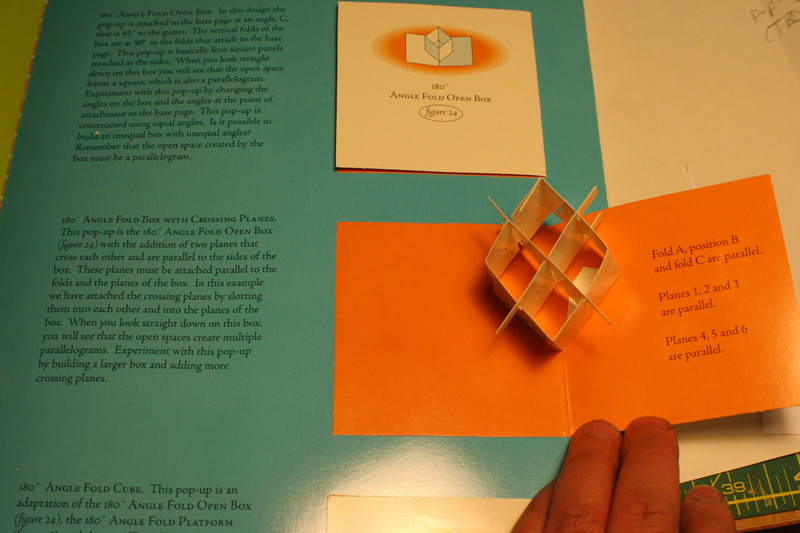 !Â It’s called The Elements of Pop-Up, and it is a detailed, analytical explanation of pop-up engineering complete with little demo pop-ups! Not only that, it’s got the world’s most complicated pop-up right inside the front cover.Â I mean, how much cooler can you get than that??? Cover, "The Elements of Pop-Up"
Inside cover of "The Elements of Pop-Up"
I mean, this is such a totally cool book that I almost want two copies!Â I know, I know, you can only read one copy at a time, but the only thing that could possibly be better thanÂ this book would be two of it, right?Â I am totally psyched. 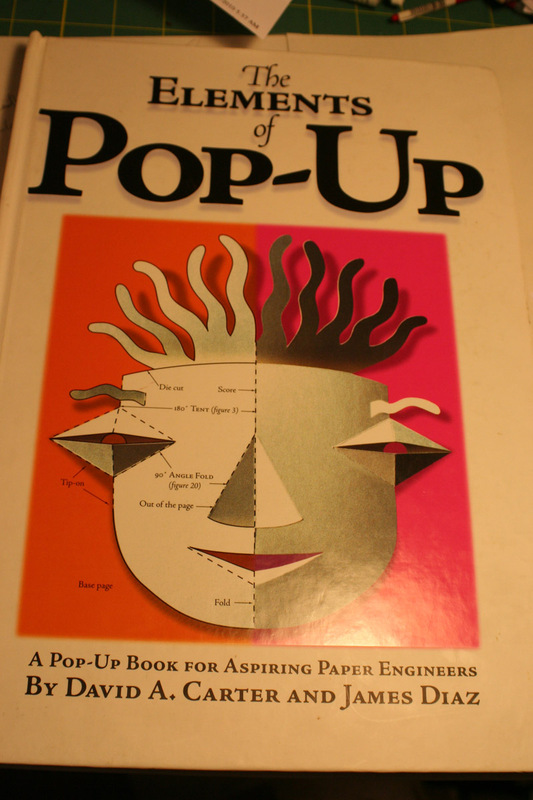 So now it’s time for me to run off and read up on pop-up engineering.Â I want to make a pop-up just about as dynamic as that inside cover, which means reading up on what can be done and then trying to design my own.Â Combining it with fiber arts motifs and materials will be even more interesting! And, um, yeah, the book is due next Thursday.Â But that gives me an entire week and a half to work on it, right?Â Surely someone as obsessive as me can turn out a really amazing book in nine days? You may find the video on the website of interest. 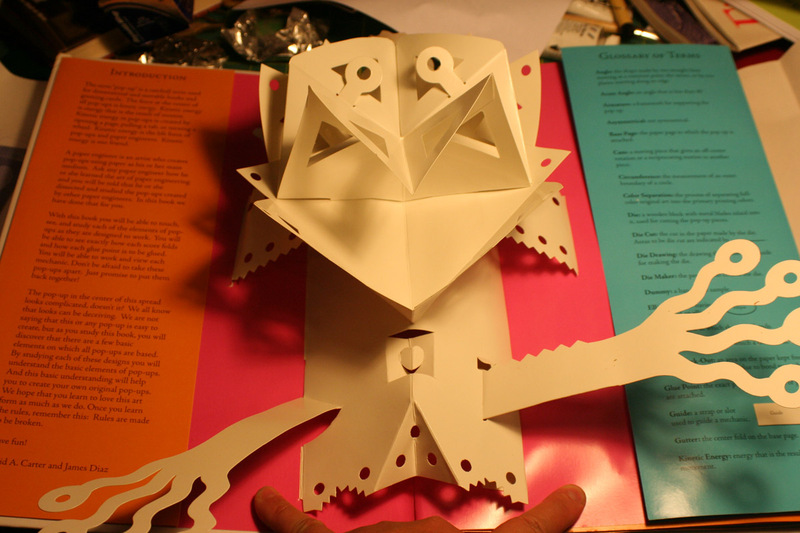 Best wishes with your pop-up book! I have that book! I found it on clearance somewhere and bought it because it is indeed The Coolest Book Ever. And I also wanted another copy — because this one seems like it could be damaged, and that would be awful. But they didn’t have a second, so I just keep mine hidden from the kids.